Improving individual efficiency. For starters, you can look at individual work habits and determine which of those habits need to be improved. For example, you may find that one of your employees seems to spend way more time reading emails than their teammates, and use that information to streamline their approach, saving time and money in the process. Evaluating and rebalancing workloads. You can also quickly see which of your team members are busier than others, based on how many contacts they’re juggling and how many emails they send and receive. With this information, you can redistribute tasks to make workloads better balanced for everyone. Scouting for suspicious emails. You may also be able to watch for suspicious emails; for example, if you notice one of your employees is sending emails to an address from a close competitor, you can pounce on it before it results in any damage to your company. Before you invest in employee monitoring software, you should be aware of the risks of employee monitoring, and safeguard yourself against them. If your employees are using company computers and resources, you should be well within your rights to monitor their activity, but it might pay to give them a formal heads-up anyway. Let them know what you’re doing and why you’re doing it, and make sure your activity doesn’t discriminate against employees in any way. This can provide an extra degree of legal protection, and keep morale from plummeting. Next, you’ll need to choose an email analytics tool that allows you to monitor things like number of emails sent, inbox organization, and top senders and recipients. Choose a platform that offers robust data visuals, so you can quickly evaluate performance, and one that allows you to monitor many employees’ accounts at once. If you want to get the most out of your new monitoring system, you need to deploy it and use it consistently. It’s not enough to spot a problem, acknowledge it, and hope it goes away; you need to monitor your employees on an ongoing basis so you can track improvements. Start by addressing key issues with employees in individual meetings, but instead of focusing solely on what’s wrong, spend time focusing on what can be done to improve the situation. For example, instead of pointing out that an employee’s email threads go on too long, provide tips on how to make them more concise. 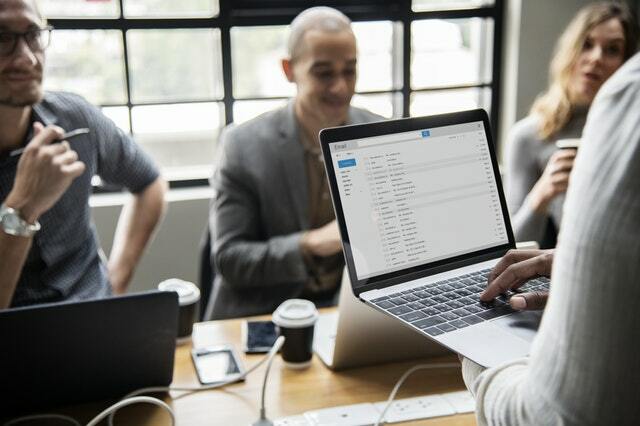 If you follow these steps and choose the right analytics platform, you should get a better understanding of how your employees are emailing—and be able to come up with a clear plan for improvement. As long as you implement it consistently, and keep your vision focused on positive takeaways, the process can be a beneficial one for you and your employees.